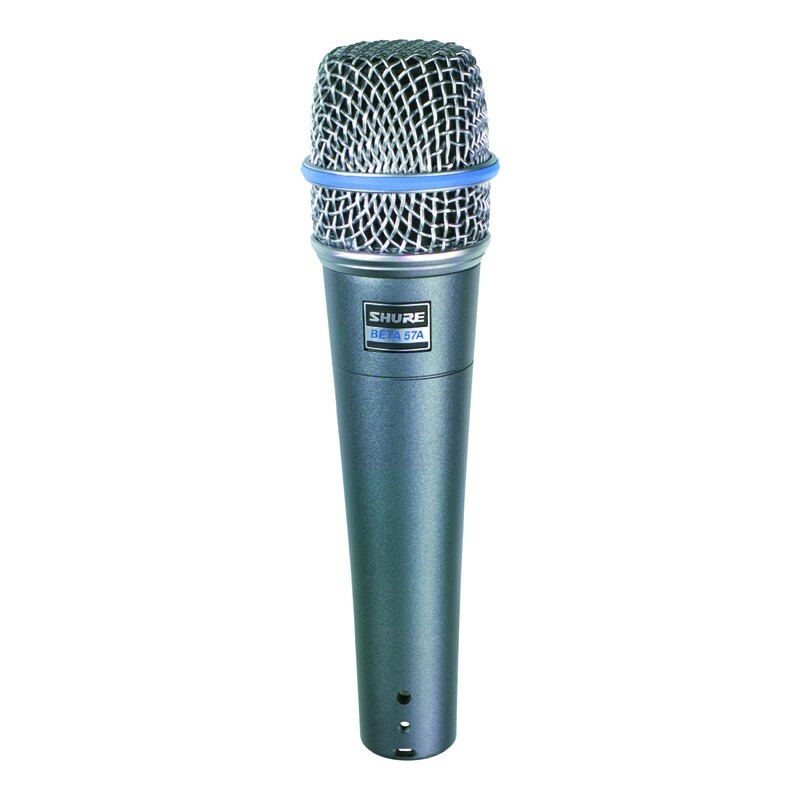 The Shure Beta 57A® is a high output supercardioid dynamic microphone designed for professional sound reinforcement and project studio recording. It maintains a true supercardioid pattern throughout its frequency range. This insures high gain-before-feedback, maximum isolation from other sound sources, and minimum off–axis tone coloration. Impedance Rated impedance is 150 ohms (290 ohms actual) for connection to microphone inputs rated low Z.
Phasing Positive pressure on diaphragm produces positive voltage on pin 2 with respect to pin 3. Connector Three-pin professional audio connector (male XLR type). Case Silver blue enamel-painted die cast metal with hardened, matte-finished steel mesh grille. Adjustable Stand Adapter Slip-in, adjustable through 180 degrees, with standard 5/8"-27 thread.